Here again is the map, to which I've added the location of Waterloo. While I was there, I also added the location of Hauteville-House, Hugo's home on Guernsey, the other main place where he worked on the final version of Les Misérables. The marker for the House on the map includes a link to more information about it. 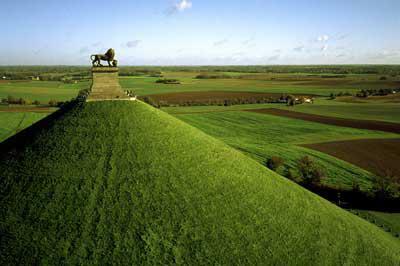 The Lion's Mound is a major tourist destination today for those interested in the history of the battle. 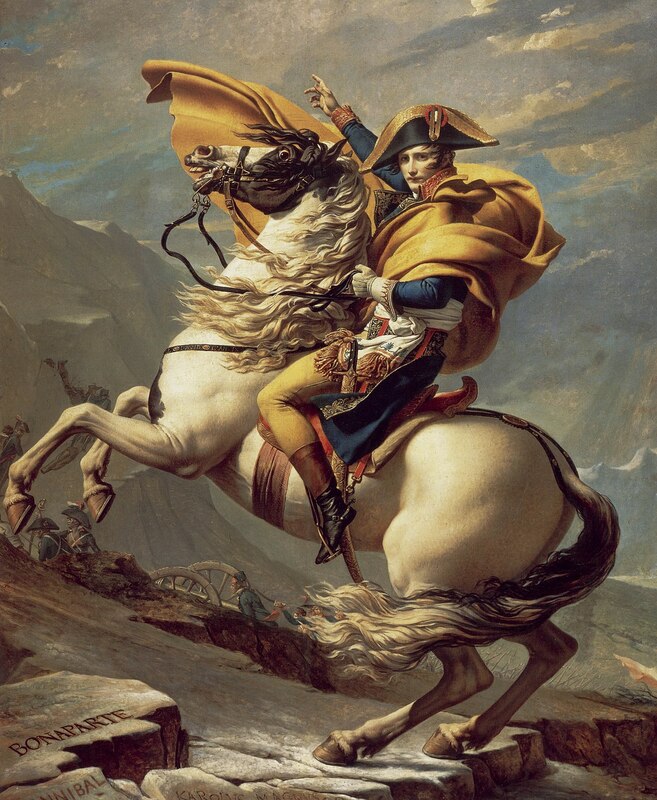 In Chapter 16 here, Hugo suggests that Napoleon was, in his early days, a genius of war in the Romantic sense of "genius"--drawing on inspiration the way artists did, with the result being energy, creativity, vitality. Jacques-Louis David's famous painting of Napoleon, here in the original version painted in 1799 (there were several versions), reflects a similar image of the young Emperor.